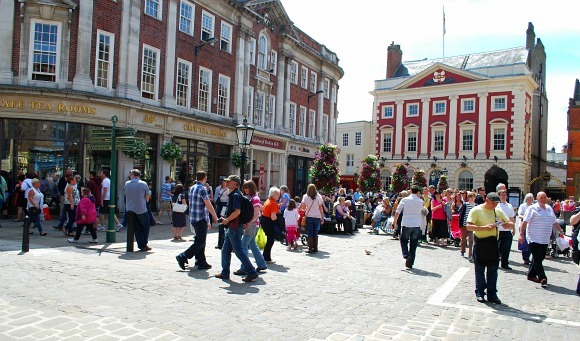 Over the years, York has become renowned for shopping and as such most of the city centre’s cobbled streets are packed with shops, boutiques and cafes. You’ll find all the big name reatilers here, but what’s extra special is the huge range of independent shops too. Many sell their own products like jewellery, clothing, crafts or gifts. 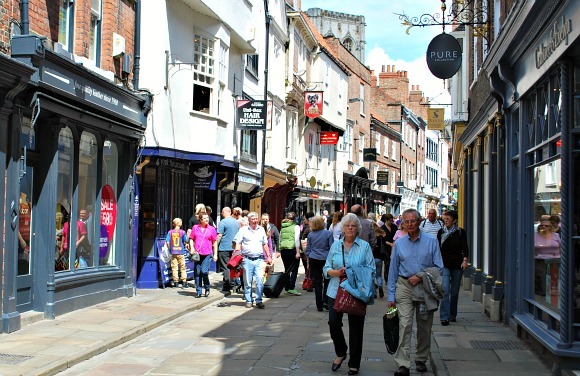 For the independent shops, start at Petergate, for the big names head to Parliament Street, but pretty much every street in between will also have shops and boutiques to visit. If you have a car, there’s also out-of-town shopping at the York Designer Outlet. This is an extract from our free York City Guide. When you want to take the weight off your legs on a shopping trip to York, there are plenty of seating areas especially along Parliament Street or outside the new Chocolate attraction at the top of the Shambles. Alternatively head to one of York’s many cafe’s. We particularly liked the one at York Castle Museum. 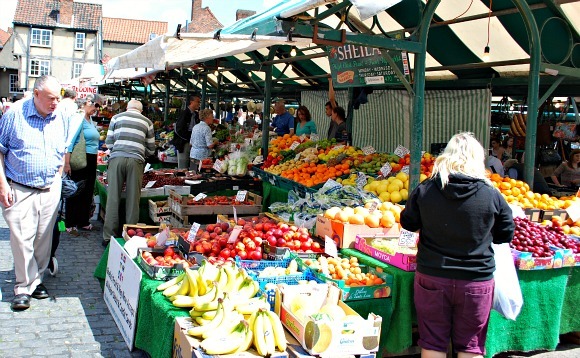 Another shopping location we’d recommend in York is the Newgate Market which is accessed from a number of streets like Market Street and is nestled at the rear of Marks & Spencer running parallel to the Shambles. It offers a fascinating range of goods from fresh fruit to luxury crafts and there’s everything else you’d expect from a good British market in between.